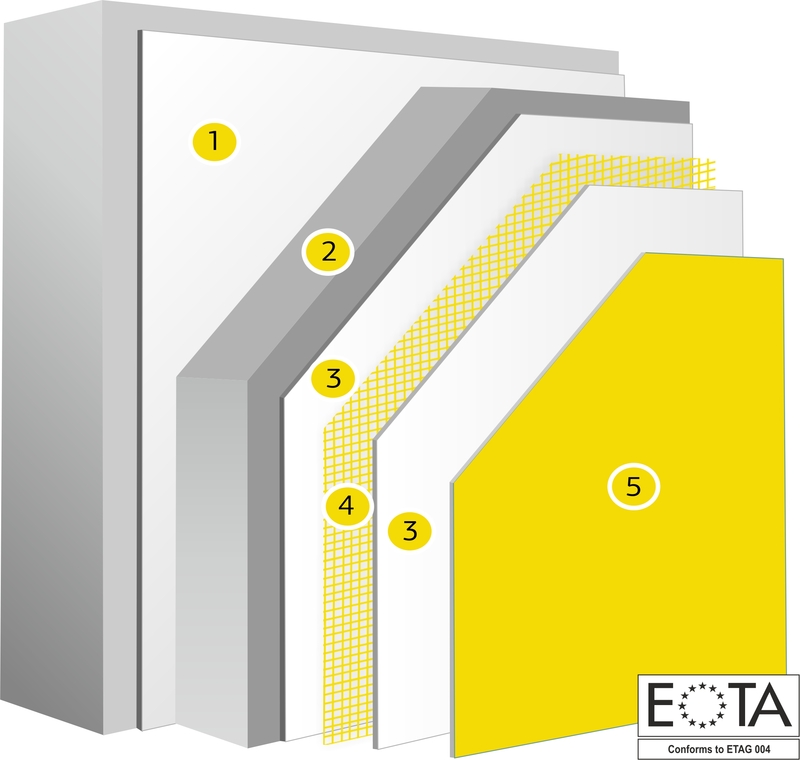 BAUER system is based on thermal insulation plates of expanded polystyrene or expanded polystyrene with graphite providing excellent thermal insulation, very good breathability of the building, excellent resistance to stresses and stability for many decades. All products are designed to withstand any stresses which daily accept the external walls of buildings offering maximum resistance to cracks. All THERMOKAPA system materials are product of uninterrupted research, combining the highest quality raw materials, expertise and BAUER manufacturing capabilities, to ensure top quality and durability. The system has limited flammability, being ideal for both new buildings and for renovations and due to the extremely high quality of the materials are certified for use without mechanical fastening. Adhesives for fixing the plates to the substrate, with a particularly high adhesion bonding for maximum safety. Organic and inorganic reinforcing plaster for fiberglass impregnation. Fiberglass mesh with high strength reinforcement designed for THERMOKAPA system resistant to alkalis and moisture. Ready to use decorative organic render highly elastic with top resistance to cracking, moisture, dirt and fungus.